Fredric Schiffer is an adult psychiatrist in Newton, MA specializing in depression, anxiety, trauma, substance use, and medication management. He is an expert in psychodynamic and dual-brain psychotherapy to help clients explore deep, unresolved traumas. Dr. Fredric Schiffer is an adult psychiatrist offering psychotherapy and medication management in Newton, MA. Combining over 30 years of clinical expertise and excellence in evidence-based techniques, he works closely with his clients to explore trauma, substance use, depression, and anxiety. His practice’s primary focus is on genuinely understanding the emotional traumas of each client to treat it in an empathetic, informed way. 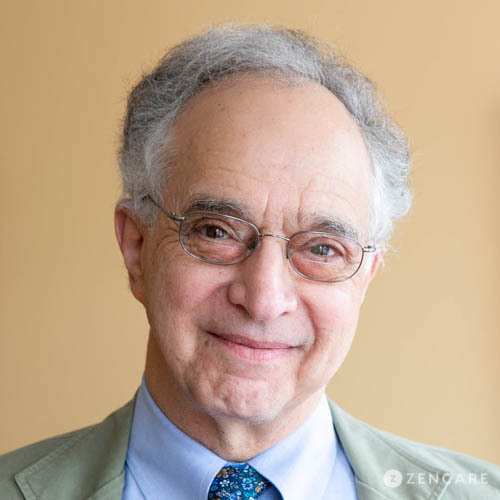 Dr. Schiffer practices from a psychodynamic and dual-brain approach, the former which he developed to explain the relationship between the cerebral hemispheres and their manifestation of separate personalities. Dual brain therapy is explained in his book Of Two Minds and is supported by peer-reviewed research papers and review articles. Dr. Schiffer received his MD at Drexel College of Medicine and subsequently completed residencies and fellowships at Hahnemann Hospital and Medical College, Harvard Medical School, and McLean Hospital. In addition to private practice, he serves as Research Associate at McLean Hospital and Clinical Assistant Professor in Psychiatry at Harvard Medical School. Dr. Schiffer is not in-network with any insurances. Therapist's note: Dr. Schiffer can provide you with paperwork for reimbursement from your insurance company if you are seeking out-of-network sessions. "I believe that symptoms originate most often in childhood traumas that get more complex as one grows. Often these traumas are not recognized or if they are their full significance is often well appreciated. The work I do is to help you find that part of you that is still stuck in those old traumas and help you to come to bear and process the tangled issues to become more integrated and achieve wellbeing. The work should be challenging but also intensely interesting and helpful."